Spirituous drink from the distillation of wine liqueur. 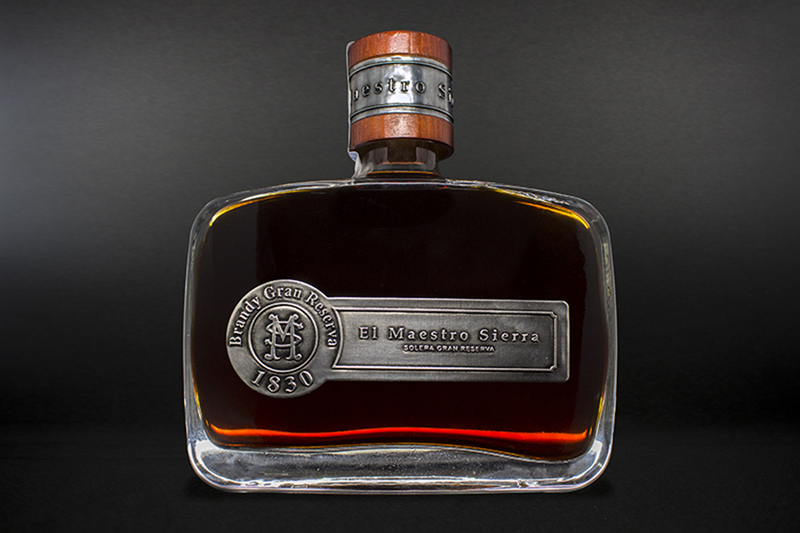 The Maestro Sierra Brandy is a spirituous drink made from a selection of the best alquitara holandas, obtained by the distillation of excellent wines, selected and aged in American Oak barrels by the traditional system of criaderas and soleras. The butts used, have previously contained Oloroso and as a result they create a very peculiar brandy, a work of art from our land. It shows mahogany colours with hints of gold and traces of amber around the clear and bright edges. Aromas of long ageing really stand out, together with vanilla, balsamic touches and perfumed oak. With an elegant step by mouth, warm, tasty, round and very balanced as a result of its long aging of more than 40 years. To the senses: broad, silky, well balanced and with a long finish. For El Maestro, it goes with… the chat after a meal.